We can’t overstate how critical knowledge is when it comes to providing superior support and service experiences for your customers. Knowledge allows your organization to learn and grow from past experiences while harnessing new information in the present. Adequately leveraging this knowledge via a Knowledge Base will enable your organization to provide faster and more effective ticket resolution without incurring additional operating expenses. 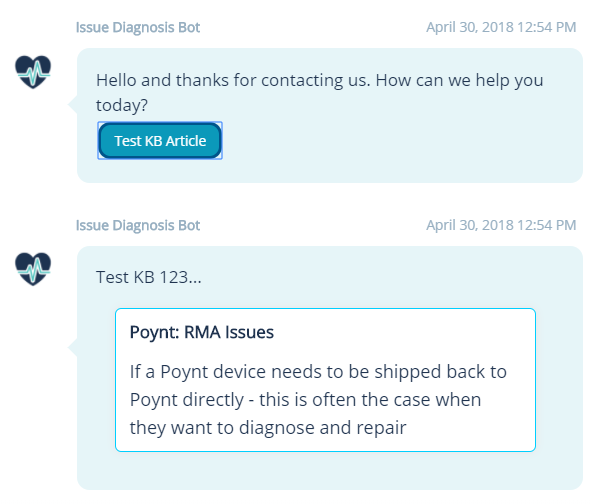 We recently added the capability to add Knowledge Base articles to the Relay platform with an integration that allows the Relay Chatbots to present these articles to your users with ease. When it comes to storing the knowledge that is vital to your team’s success it makes the most sense to do so where your team frequently traffics. 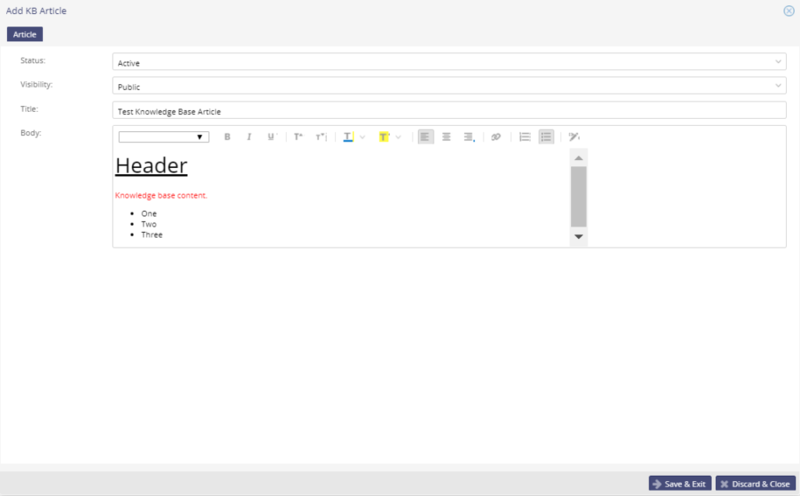 By hosting Knowledge Base articles within the Relay intelligent support platform, your organization can now aggregate its critical knowledge and information right where your team lives on a daily basis. This knowledge will always be just a button-click away for your team members, and they can use this knowledge to provide improved support for your tickets that flow into Relay. It’s hard to get more efficient than that. Chatbots are the current fad in presenting information to users, and it makes sense to use them to deliver resolution-essential knowledge to your team and your customers. The Relay Chatbots can quickly and easily display your organization’s Knowledge Base articles in an aesthetically pleasing manner allowing for an even superior customer experience. In addition, this functionality solves one of the most daunting challenges facing the chatbot industry as a whole. That being the handling of long-form content that is not necessarily ideal for a conversational format. The last thing you want is for a user to have to leave the conversation and your platform altogether to view information in a separate browser tab. That scenario is not going to lead to a lot of repeat users. 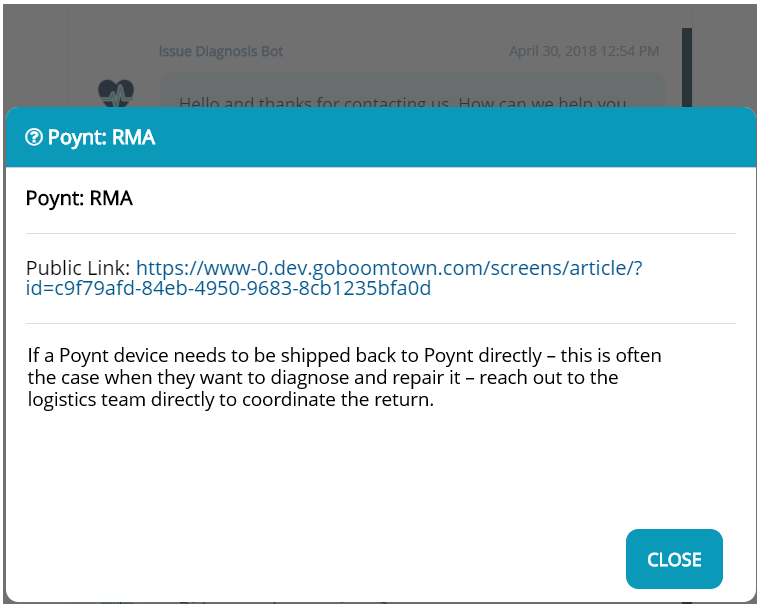 Thanks to Relay’s new Knowledge Base capabilities and the Relay Chatbots, you never have to worry about displaying long-form content via chatbots. Not using the Relay Knowledge Base yet? We would love to give you a demo to show you just how powerful our native chatbots are when combined with the Relay intelligent support platform and its new Knowledge Base capabilities. Schedule a demo, and we’ll help you transform your support and service operations.